In the South Asian region, Bangladesh, Pakistan and Sri Lanka fare much better than India and Nepal where informalisation of jobs is high, especially among the younger population. 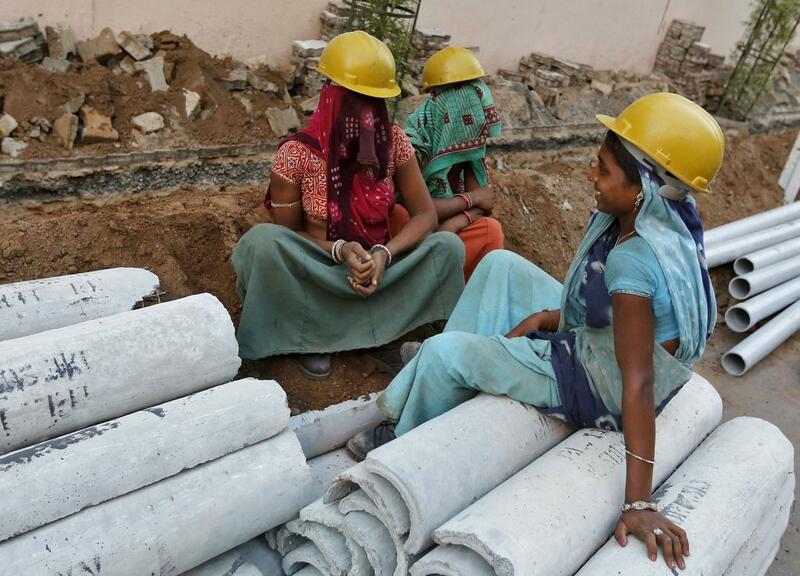 New Delhi: Close to 81% of all employed persons in India make a living by working in the informal sector, with only 6.5% in the formal sector and 0.8% in the household sector. Among the five South Asian countries, informalisation of labour is the highest in India and Nepal (90.7%), with Bangladesh (48.9%), Sri Lanka (60.6%) and Pakistan (77.6%) doing much better on this front. In fact, formal employment in Bangladesh is the highest in the region at 13.5%, but it also has high household employment at 26.7%, says a new report by the International Labour Organisation. Stressing that a transition to the formal economy is a condition to realise decent work for all, the report, Women and Men in the Informal Economy – A Statistical Picture (Third edition), said nearly 1.3 billion people – or 68.2% of the employed population in Asia-Pacific – were engaged in the informal economy. The study also found a growing number (98.3%) of youth aged 15-24 in informal employment in the region compared with 67.1% of adult workers (25+). “The higher the education level, the higher the chance to obtain formal employment; 31 per cent of tertiary-educated workers are in informal employment compared to 90 per cent of workers with primary education”, said the report. Calling for measure to tackle informality, a key marker of a regions’ socio-economic development, the report noted that such jobs were predominant in rural areas (85.2 %) and formed almost half of employment (47.4%) in urban areas. Almost all of agricultural employment (94.7%) is informal in the Asia-Pacific region, and it reaches a high of 99.3% in Southern Asia, which includes India. In the industrial sector, informal jobs represents a higher share at 68.8% than in the services sector at 54.1%. Globally, two billion people – more than 61% of all employed people – work in the informal economy, says the report, adding that 93% the world’s informal employment is in emerging and developing countries, with the level of education seen as a key factor. “Globally, when the level of education increases, the level of informality decreases,” the report says, adding that people who have completed secondary and tertiary education are less likely to be in informal employment. Two of the report’s authors, Florence Bonnet and Vicky Leung, also pointed out that while not all informal workers were poor, poverty was both a cause and a consequence of informality. “The high incidence of informality in all its forms has multiple adverse consequences for workers, enterprises and societies and is, in particular, a major challenge for the realisation of decent work for all and sustainable and inclusive development,” Rafael Diez de Medina, Director of ILO’s Department of Statistics, said in a statement. Agriculture is the sector with the highest level of informal employment (93.6%) around the world. The industry (57.2%) and service (47.2%) sectors are relatively less exposed to informality, especially the service sector in the Arab States and Asia and the Pacific. However, when informal employment is the main source of employment, especially in emerging and developing countries, a high level of informality is observed in all sectors, the report notes.